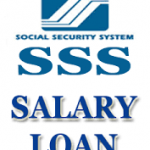 Social Security System contribution table inquiry and help. For those who are looking for SSS Tabaco Albay Branch Office Contact Number, we have posted at the bottom of this article, the complete address and contact details including the email address of the Tabaco Albay branch of the SSS agency. The info about the said branch office was sourced directly from the agency’s website and re-posted here for our visitors convenience. At the said Tabaco Albay branch office of SSS, you can apply for membership, loan, or even apply for member benefits like sickness, maternity, retirement, or any other sevices offered by the agency to all its bonafide members. Given below is the complete location address, contact details, and email address of the said Tabaco Albay branch of SSS as listed in their official website. If you have questions to ask about your contribution, membership application, loan application, or any payments you’ve made to the agency, you can visit the nearest branch office in your area or you can use any of the following hotline numbers and email address to get in touch with SSS main office.